It has only been one year since Victoria Park Market launched, and it now attracts hordes of visitors to Bow’s leafy park every Sunday, rivalling nearby Broadway Market. So what is it that has made it such an overnight success? In June 2017, Victoria Park Market was launched as a six month project that would take place throughout the summer months only. It was so popular with shoppers both local and from afar, that it has become a year-round venture. We’re not surprised – the selection of hot food available rivals nearby Broadway Market, and the glorious surroundings definitely beat Hackney’s offering. Unlike most London markets, Victoria Park Market takes place within the beautiful grounds of Victoria Park, meaning once you have selected your meal, you can stroll over to the grass and take a seat next to the lake. 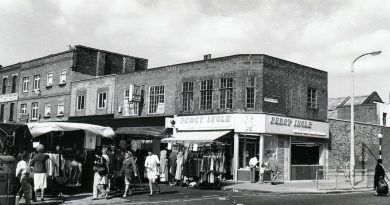 The pedestrianised street that houses the market is known as the Nightwalk. It runs between Bonner Gate and Gore Gate creating a roomy colonnade of stalls that doesn’t intrude on the peace of the park. Not a traditional farmers’ market, but a produce market, here you can buy fresh fruit and vegetables, honeys and jams, freshly cut flowers, charcuterie and cheeses, craft spirits and wines, and an extensive selection of baked goods. Yum. As well as providing a pretty spectacular selection of food and drink, Victoria Park Market wants to work with the community. 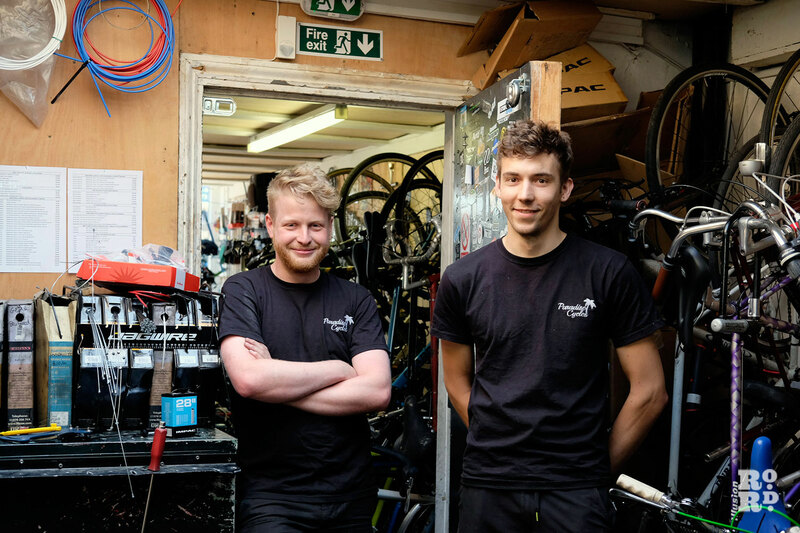 This summer alone, they aim to stop the use of single use practice at the market, grow the number of food social enterprises they work with and put together a live music programme so more local musicians get the opportunity to play at the market. The popularity of the market has been so great that they have had to introduce a card only policy for hot food – one way to help reduce those lengthy queues. The market is run by The Good Market Company, which was set up to create food markets that combined high quality produce with companies making a positive social impact. The Good Market Company work very closely with the Tower Hamlets Parks Team and they have recently opened another market called Church Street Market, on Church Street in Stoke Newington. You can’t have a good food market without great fruit and veg. Wild Country Organics grow incredible quality organic produce in Cambridgeshire in unheated greenhouses. 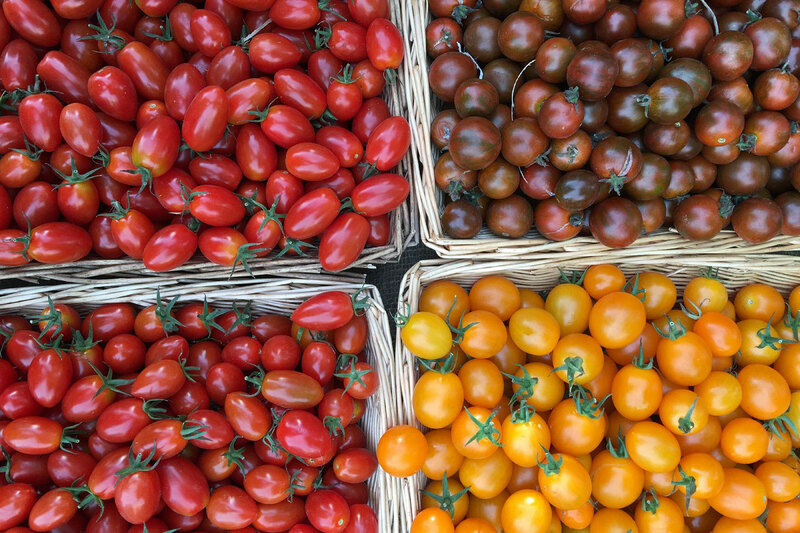 Their owner, Dr Adrian Izzard is a pioneer in modern organic growing and as the seasons change you’ll notice new produce appearing on the stall. We especially recommend their tomatoes and salads. Peter who normally mans the stall at the market is very knowledgeable so ask him for any advice. After Fruit and Veg, you need a great loaf of bread. At the market there is priority for local food social enterprises. Dusty Knuckle is an award winning social enterprise bakery in Dalston that employees long term unemployed young people and trains them to make amazing bread. We recommend trying their loaves of sourdough. 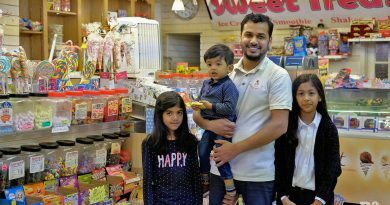 To accommodate any four legged customers, Pack and Clowder is a doggie deli where you’re able to pick up every kind of dog treat you can think of. Jackie the owner is a real character and there’s always a great vibe around the stall with doggie chat between the owners. All the food traders are pretty great, but one definitely worth trying is Big V, a legend in vegan street food. Their vegan burgers are a thing of beauty and from midday to 4pm there is always a queue of hungry locals waiting for their fix. For those with a sweet tooth, try A Pie Party. 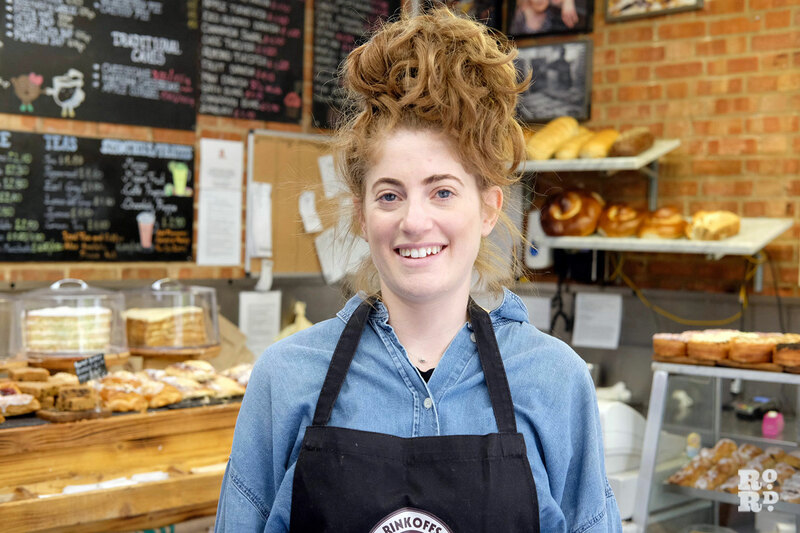 Claire O’Connor started up less than a year ago and already has a huge cult following with food bloggers travelling from around the country and beyond to snap and taste her pies. Her Malteaser pies are to die for, but get there early as she always sells out quickly. 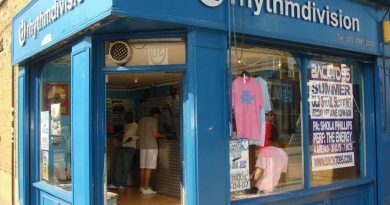 If you like this, you might like our piece on the best things to do on Roman Road Market.